New Report shows less than 1 in 10 brands grew between 2014 and 2017. Research agency Kantar Millward Brown’s analysis of the BrandZ™ global database shows brand growth is getting harder but disruption makes the difference. Brands that had achieve significant growth are doing so through major market disruption. Amazon is one of the standout brands. The global retailer grew its brand value by a massive 2,228%. This eclipsed the best of the BrandZ™ Top 100 Most Valuable Global Brands, which grew by 152%. The report also highlights that while most organisations cannot achieve what Amazon, Netflix or Airbnb have, there are lessons for any brand with just one per cent change in market share delivering significant growth. 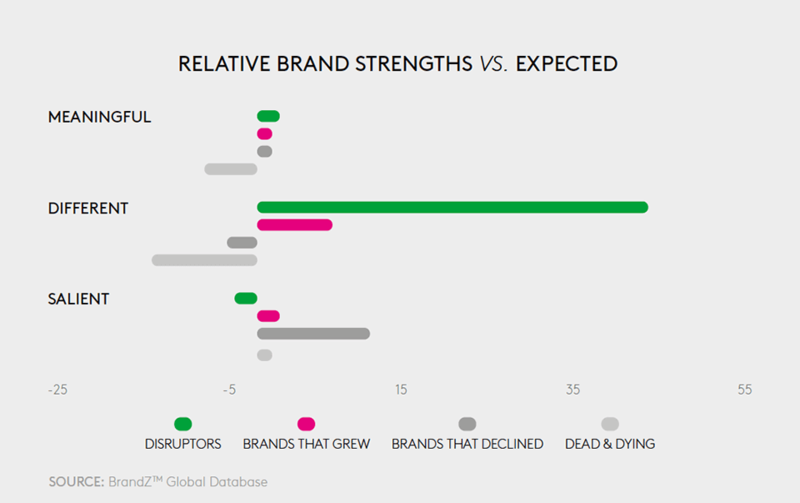 The data suggests that any brand can be disruptive. However, for disruption to pay off, brands need to truly understand their customers and what will add value to the lives. They also need the courage to boldly innovate, not just follow the pack. The report ‘How Disruption Can Fuel Brand Growth’ provides some insight into how others have achieve brand growth with tips for achieving growth for your brand.